Overlooking Greece’s Aegean Sea and nestled amongst 40,000 square meters of lush gardens is the wonderful Danai Beach Resort. Named after princess Danae from Greek mythology and a member of Leading Hotels of the World, staying here will certainly make you feel like royalty. With 60 suites and villas blanketed in stunning white marble, award-winning cuisine served at The Squirrel and a private beach thrown in for good measure, Danai is the stylish Greek summer destination we thought could only exist in mythology. On Sithonia, the second prong of Greece’s chic sun-soaked Halkidiki peninsular, Danai makes itself at home on reputably one of the best beaches in the Mediterranean. Thanks to a private stretch of sand, dotted with idyllic coves, it’s the perfect summer hideaway. For those itching to explore, Danai offers yacht trips, complete with spa treatments on board, to visit the delightful neighboring Greek islands and Halkidiki’s Mount Athos, with its impressive Byzantine monasteries. With Danai being only 50-minutes from Thessaloniki Airport, you are also in prime location to visit the historic water-side city of Thessaloniki for a day trip. The 60 suites and villas at Danai are exactly how we all imagine Greek luxury should be. 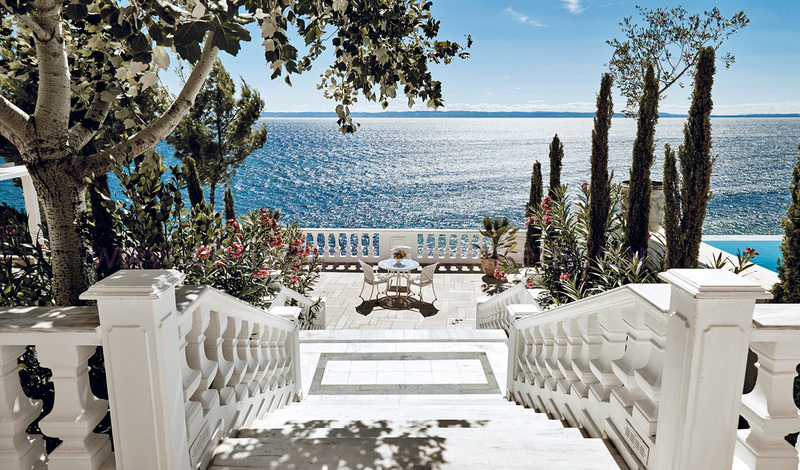 White and gold furniture, floors and bathrooms dripping in white marble and balconies and terraces boasting grand Greek pillars and views of a bright blue ocean. Some suites and villas even feature marble fireplaces and private infinity pools. Plus, with two bedroom suites and villas running up to four bedrooms, there’s room for all the family at Danai Beach, with a kid’s club on hand too to ensure you get the peace and quiet you’re craving. Danai is quite simply the perfect romantic destination. As well as an award-winning gourmet cliff-side restaurant which makes for a truly unique date night, it also boasts a superbly-stocked wine cellar home to the country’s longest wine list, where you can indulge in a romantic, candle-lit dinner over a glass of the finest champagne. 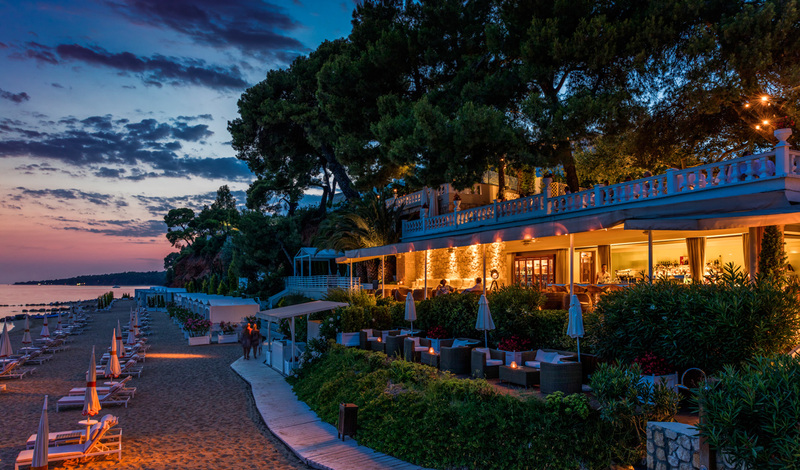 For a truly special evening though, a proposal perhaps, you can even have the beach, covered in candles, all to yourself for a private sunset dinner with a live pianist. Utterly enchanting.